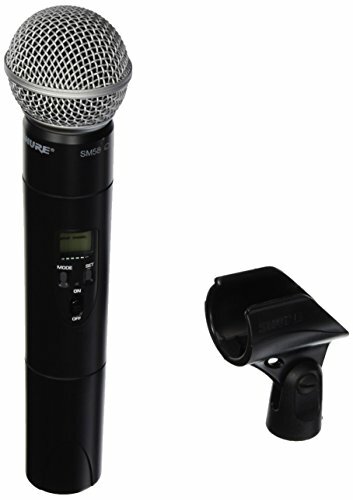 There's no more widely used vocal stage microphone out there than the Shure SM58. Why? Because it just plain sounds right. Robust, versatile, and able to withstand night after night of spit and high SPLs, the SM58 provides the kind of reliability that gives live sound guys the peace of mind they need and singers the performance they demand. If there is one thing wrong with the SM58, it's the cable. But wait - take a good look at the Shure ULX2/SM58 wireless mic... imagine a couple of dents in that familiar-looking silver grille... that's better. Yup, you got it - a wireless SM58. And not just any wireless either. The ULX2/SM58 is formatted for Shure's professional ULX wireless system, so you get the microphone capsule you want and the reliability you need.